Wishing You the Luck ‘O the Irish! Today we celebrate the Irish, a people about whom Sigmund Freud said, “This is one race of people for whom psychoanalysis is of no use whatsoever.” Um, I’m not sure why, but I think I like it! MEOW! The REAL reason leprechauns are so mean? They’re actually cats! No time to write a post for Tuesday True Confessions. I may have to make that Thursday True Confessions. But I WILL continue writing it. In the meantime, if any of you have any HR or employment law experience, I could use some advice. 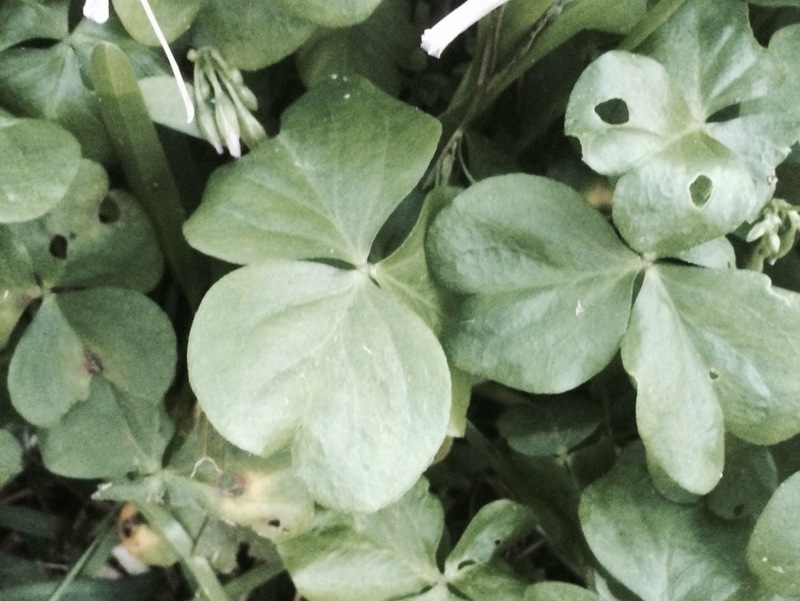 Shamrocks from the front yard make great food for some insects! I KNEW leprechauns were special! This one is very cute! I agree, but then, I am a bit biased in my opinion. GAH! That Irish saying is hilarious! I know! The Irish have the best sayings! Of course, in all fairness, I haven’t read the sayings of EVERY culture. I think you have a crush on June Buggie! what? 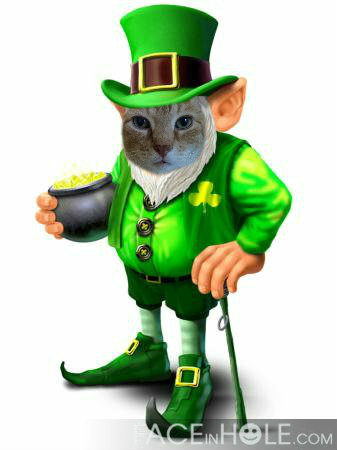 leprechauns are cats? ha! now I know why I couldn’t find the pot of gold :o) …it’s buried in the litter box, right? Happy St. Patricks Day! Hope your day is full o green–green lights–you go girl! Now that is an irish poem we need to remember! BOL! Happy St. Patty’s Day!!! Thank you! Happy St. Patty’s day to you and your fur kids!